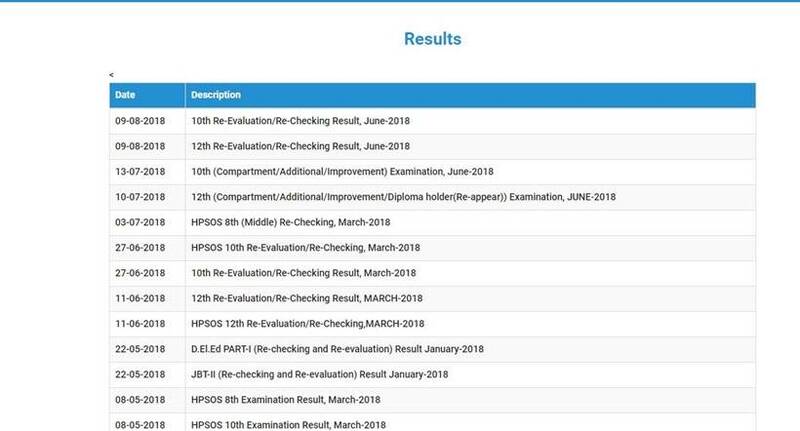 HPBOSE 10th, 12th supplementary results 2018: The Himachal Pradesh Board of School Education (HPBOSE) has declared the results for the class 10 and 12 supplementary exams. Candidates who have appeared in these exams can check their results from the official website, hpbose.org. The Himachal Pradesh Board of School Education (HPBOSE) has declared the results for the class 10 and 12 supplementary exams. Candidates who have appeared in these exams can check their results from the official website, hpbose.org. Apart from it, the results are available on some private websites. The supplementary exams were conducted in the state for candidates who had failed the matriculation or the plus two exams. The plus two, 10th supplementary exams were held in the month of June. The candidates have to visit the official website, hpbose.org. Then, click on the tab for the results page. Click on the link for the class 10 or class 12 results. Enter your details in the fields provided. Download your results and take a print out of the same for further reference.